Chaos theory also talks of butterflies, using the term ‘butterfly effect’ to describe how some things, seemingly unrelated can affect other things, and that when presented with many unknown variables it’s hard to predict how one thing impacts on another. I think the impact of trauma and vicarious trauma is similar in many ways. You may experience a traumatic, life threatening event and remain seemingly unchanged. The symptoms associated with the medical understanding of psychological trauma may never emerge, or may emerge years later, perhaps in response to another trauma, or a significant life event, or a transformation. The reality is we simply don’t know for sure why some people experience post trauma symptoms and others don’t. Butterflies is also a common term to describe a somatic experience, a fluttery feeling located in the stomach or intestines. Some people describe themselves as having butterflies when they fall in love, others describe butterflies in response to stress. 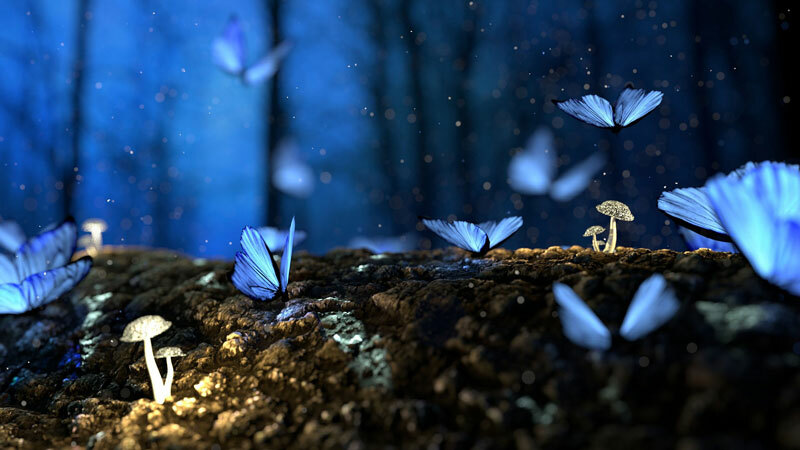 Butterflies are therefore a metaphor of a somatic expression, linked to an emotion and perhaps even linked to the bodies flight and fight responses. Its difficult to know exactly the cause of some familiar feelings in response to working with trauma, but one thing I know for sure is I get butterflies! Often in response to being faced with a set of circumstances. I was intrigued to learn that becoming more ‘accident prone’ was considered a feature of secondary traumatisation/vicarious trauma. If there was a toe to be stubbed, a shin to be bashed against a table or a hip bone to be caught on a door handle (yes, it can happen!) then I am definitely accident prone, but then my mum often jokes that I could ‘trip over a chalk line in the road’ and I am the only person I know who regularly falls over in flat shoes. So is my inherent clumsiness and inability to gracefully coordinate my sensory motor functions an indicator of vicarious trauma. In truth, for me, probably not, but that does not mean that there not many others working with trauma who are not experiencing this. Charles Figley (1995) truthfully says “there is a cost to caring”, therefore its useful to explore what that cost might be and whether we can meet it. I believe that over the years, something I did not carry into my work with trauma but developed over time and perhaps one of the costs to doing the work I love is my hyper sensitivity to personal injury. Essentially, I experience ‘butterflies’ when confronted by personal injury, in others, out with my professional context. I have often witnessed trauma survivors describing the physical injury they have had inflicted on them through violence, or showing me their wounds, and I have come into frequent contact with forensic reports and photographs of injuries and scarring over several years. I did not have strong reactions to this content in my work context. However outside of work, a couple of years into working with trauma I became curious at some of the changes I felt within myself. It started with an aversion to seeing anything relating to violence outside of the workplace. This was a very conscious change, perhaps it just meant my tastes were changing. However, I made conscious decisions to limit my exposure to violence, at the same time as becoming acutely aware of its prevalence in Film, TV, Social media and popular fiction. In the work context I did not experience strong reactions to some of what I was exposed to, but I knew enough to recognise that it was not healthy, nor would I create any balance in relation to my wellbeing, if I was bombarded by violence and its impact day and night. These were conscious, cognitive processes, using my power and my choice to set limits on what I was exposed to and when. However, something else was happening over time, this time out with my awareness. It developed slowly, perhaps as a cumulative effect in response to my daily exposure to trauma, its impact, and the role violence often played in that trauma, stories shared by the voices of the people who experienced it. I started to map why I felt certain ways at certain times and this brought to my awareness my growing intolerance to being exposed to personal injury outside of my professional context, so essentially in all other aspects of life. I have learned quickly that with me being so accident prone, some of my relatives being elderly (and more accident prone as a result), and other relatives experiencing ups and downs with health, that it would simply be impossible to avoid contact and exposure to witnessing other peoples or my own minor injuries. So that’s avoidance as a coping mechanism out of the window. ‘Bodily maps of emotions’ by Nummenmaa et al (2014) is a study showing body sensations associated with common emotions such as anger, fear, happiness, sadness, love, pride, shame and anxiety amongst others. The research indicated that our bodily sensations could reflect our emotional responses. It has become somewhat a joke between those close to me about just how ‘squeamish’ I have become. My nearest and dearest often delight at teasing me when changing the plaster they have placed over their minor injuries. I often tell them not to tell me anything about their cut finger, latest medical procedures, skin complaints, you name it, folk like to share it and I simply don’t want to see it! I don’t want to overplay this strange sensation, it is simply a sensation, it comes and goes and does not leave me with any major disturbance out with the minute it happens within, but it didn’t used to happen to me before I chose to work with trauma. However, it’s also hard to communicate with others, often through my laughter in response to how ridiculous I feel, just how disturbing that fluttering stomach can be. The one thing I have not truly worked out is exactly what emotion/s lie beneath my frequent visit by those mischievous butterflies, I fear it could be fear itself. It’s not really a logical response, and it happens mainly when it least matters, in response to minor things, I have been able to respond effectively, sans butterflies, to witnessing/experiencing more severe injuries, I’m good in a crisis. However, if my butterflies are connected to fight/flight responses then perhaps it’s a fear that does not find words, a fear that is outside reason or logic. As Bessel Van der Kolk notes, the body really does keep the score, “when the alarm bell of the emotional brain keeps signalling you are in danger, no amount of insight will silence it” (Van der Kolk, 2014. 64). Vicarious trauma and vicarious resilience are natural transformations that take place over time as a result of our empathic engagement with trauma. What gives you butterflies?